The life of St. John the Baptist in this reflection will be examined in three areas: in the liturgy, in sacred scripture, and in God's plan of salvation. Besides the birthday of Jesus, there are only two saints whose birthdays are celebrated in the church's calendar: the Blessed Virgin Mary and St. John the Baptist. This emphasizes the important roles of these two figures in God's plan. This year, the church is celebrating the Feast of the Nativity of John the Baptist on Sunday, June 24, six months before the birthday of Jesus. What do we know about John? Similar to the birth of Jesus, the birth of John was announced by the angel Gabriel to his father, Zachariah. John was given to his parents, Zachariah and Elizabeth, when Elizabeth was already past the age of childbearing. Yet, with God's gracious intervention, Elizabeth was able to conceive and give birth to John. His name was also designated by the angel Gabriel before his birth: "you must name him John," (Luke 1:13). In Hebrew, John means God's grace/favor. John was sanctified specially by God's grace: "...from his mother's womb he will be filled with the Holy Spirit," (Luke 1:15). 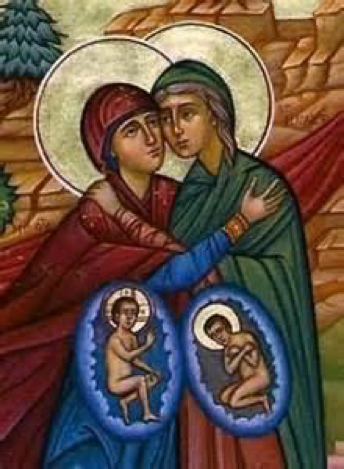 Inside his mother's womb, he experienced the presence of Jesus when Mary, pregnant with the Lord, visited Elizabeth. 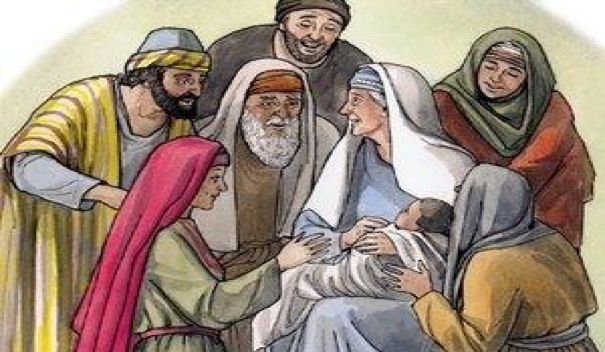 The gospel says when Elizabeth heard Mary's greeting, the baby in her womb, "leapt for joy," (Luke 1: 41; 44). Some in the church understand this as the moment John was freed from original sin. John the Baptist in God's plan of salvation. John the Baptist arrived at the period of critical transition between the Old and New Testament. Like many people of the Old Covenant, he had lived and longed for the promise of the Messiah to be fulfilled. However, as one of the people of the New Covenant, he had seen the Messiah, labored for Him as His messenger and prophet, and he enjoyed the grace of redemption which Jesus granted him ahead of time. The gospels portray John the Baptist as a simple and humble person and the messenger for the Messiah. He regarded others as better than he was. "...[He] who ranks ahead of me...; he must grow greater, I must grow smaller," (John 1:30; 3:30). John's zeal in carrying out his mission led him to his martyrdom. He was beheaded as a result of his boldness of speaking the truth against the adultery of King Herod and Herodias. Celebrating the Nativity of John the Baptist is celebrating God's favor and God's redemption. It also calls us to meditate on his virtues of humility and simplicity, virtues that our founder, St. Vincent de Paul, repeatedly reminded us to keep making an essential part of our lives. Written by Sister My Hanh Cao, D.C.